Professor Kolawole Salako, Vice Chancellor, Federal University of Agriculture, Abeokuta (FUNAAB) has expressed confidence and hope that programs under the Center for Agricultural Development and Sustainable Environment (CEADESE), would be sustained and given adequate support by the university. The Vice Chancellor of the institution gave the assurance at the meeting of the principal officers with the International Accreditation Team of the Center, who were in the university to inspect and accredit three of the programs being run by CEADESE. 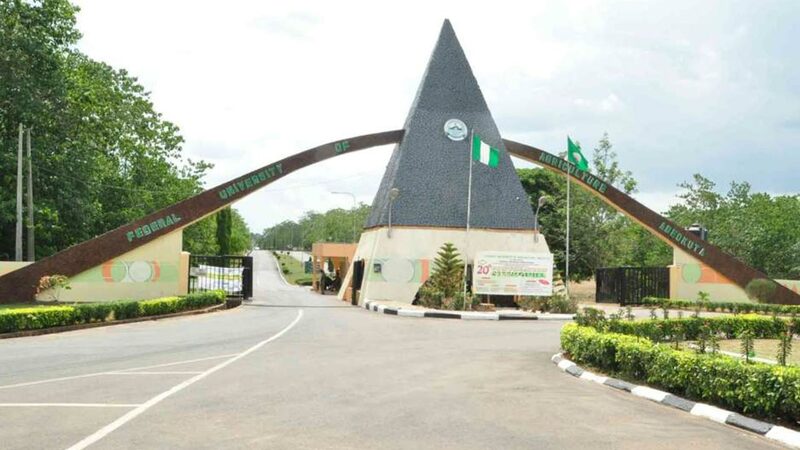 Salako said that the institution was motivated to be a World Bank Center of Excellence through its internationalization policy which has greatly endeared the university to neighboring West African countries like Liberia, Sierra-Leone and Gambia who have continued to send students to FUNAAB since 2008. He assured that the university would consolidate on previous achievements recorded through the center by managing the equipment and funds judiciously. Earlier, the leader of the International Accreditation Team, Deris Herrman, had commended the institution’s management for its support to the Africa Center of Excellence adding that they were in the university to accredit some of the courses being run by the center.